An award made annually in June, July, or August by Stuart Vyse, who loves music but is not a trained critic. This honor entitles the recipient(s) to great pride and personal satisfaction but includes no plaque, medal, certificate, or trophy and has no monetary value. Another Irish band. Can’t quite shake the Irish theme of recent years, and once again I was a little slow on the uptake. 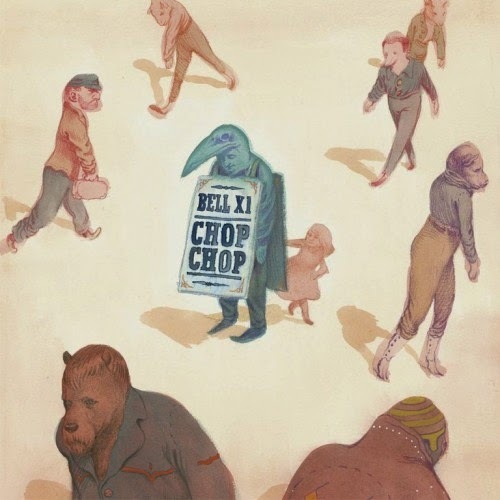 Although I had never heard of Bell X1 before coming across a video of “The End is Nigh”—one of the singles and my favorite song from CHOP CHOP—Bell X1 has been in operation for fifteen years, and this is their sixth album. They were a frequent opening act for U2, and although Bell X1 remain very popular in their native country, they are much less well known in the U.S. Although this is definitely my Album of the Summer (and the year), once again I have had to fudge a bit on the happy criterion. Several of the songs are quite dreary in both sound and lyric—the band is Irish, after all—and the songs that sound upbeat and danceable tend to be about depressing topics such as the end of the world or “death by a thousand little downers.” So the happy criterion is deeply problematic once again. Whose arms would I seek? Whose eyes would I meet in the final throes? And say it was good to be human. To be a human with you here. As it turns out, Bell X1 is touring the U.S. in September. This is the self-titled debut album by a group of six high school friends from Baraboo, Wisconsin. Phox emerged in 2013 and has been touring in support of this first effort, released just this June. The group recently received mainstream recognition in the form of a very positive review in the NY Times (http://goo.gl/pDv3bT), so they are starting out well. Phox is led by singer Monica Martin, whose lilting breathy voice soars and dives in unpredictable ways. The songs are quite upbeat, including “Shrinking Violets” (track #8), “1936” (track #4), which includes some nice banjo backing, and the single “Slow Motion” (track #3). In contrast to the actual 2014 winning album—PHOX comes much closer to satisfying the AOTS “it must be happy” criterion. There is also an impish, artsy quality to the entire album, which is reflected in the band’s videos, all of which are very creative and appealing. “Slow Motion” is the kind of song you find yourself singing involuntarily, without warning. In addition to the lighter numbers, PHOX has its more somber moments. I would not call any of the lyrics (all written by Martin) particularly inspired, but she takes on the infidelity of a lover in “Evil” (track #5) and a friend with problems in “Laura.” The seven-minute-long “Raspberry Seed” is a particular favorite of mine. It is a Ravel’s Bolero-like slow build that begins with a sad lyric for the first three minutes and then goes entirely instrumental, continuing the long crescendo driven by a rhythmic, almost Western-sounding guitar line. Overall, PHOX is a fun album that reveals much midwestern talent. Martin is an infectious singer, and the rest of the band provides very strong instrumental backing. Highly recommended. I wanna be with the one I love. I wanna go where the people go. 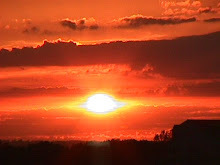 I hope you have a few more chances to fire up the stereo and be with the one you love while the sun is still out.